Dyslexia is an inherited condition in the brain that makes reading, spelling and written composition very difficult. Here are some facts that may surprise you. 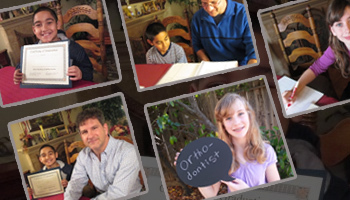 Dyslexia is NOT rare—it affects 1 in 5 people! According to the National Institutes of Health, dyslexia impacts 20% of the population. 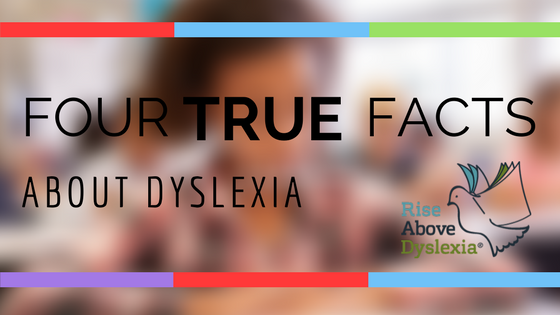 Dyslexia is the most common reason a bright child will struggle first with spelling, then written expression, and eventually “hit the wall” in reading development by the third or fourth grade. Reading is the worst way to determine if a child has dyslexia. Everyone with dyslexia can read—up to a point. The best way to recognize a dyslexic student is to look at their spelling. They will have trouble spelling from the very beginning of their school career. Spelling becomes more difficult when a dyslexic student goes on to write sentences and paragraphs. Retention will usually make things worse for a dyslexic student. If a child did not retain the information the first time, repeating the same material for another year will not solve the problem. A dyslexic child needs different methods to improve their reading and spelling. In addition, grade retention is extremely stressful for students. In one study, students ranked grade retention as the most stressful life event—even more stressful than losing a parent or going blind! A person never grows out of dyslexia. Dyslexia is a lifelong condition. It will not go away as a child gets older. All the experts agree that waiting is worst thing you can do. But there is good news! There are effective, proven methods based on research that can bring a dyslexic child’s reading, spelling and writing skills up to—and beyond—grade level. Proper tutoring can help them become independent and restore their confidence for a bright future. At Rise Above Dyslexia®, we can help! Don’t delay! Call us today at (208) 425-6560.